Full film available now. The first episode in The Mind Inside, a docuseries exploring mental health in public schools. The Mind Inside, an I Love Public Schools docuseries, explores the landscape of mental health issues in Nebraska schools. The initial episode lays the foundation for the series, establishing what life looks like in public schools today and how mental health impacts the classroom. 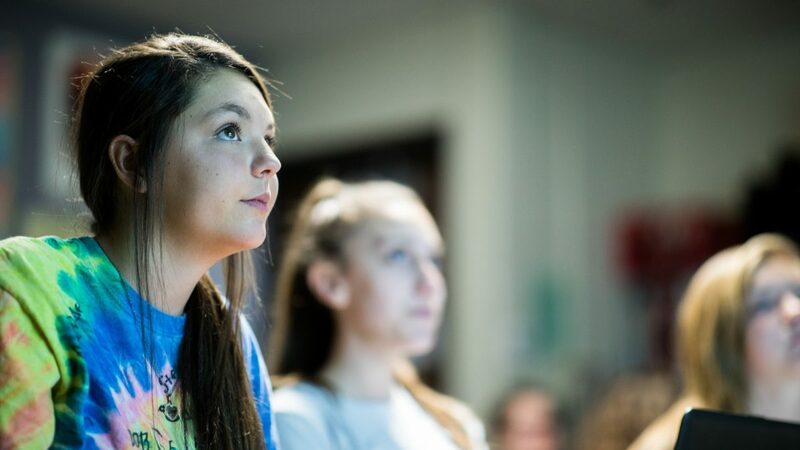 At Millard North Middle School, the primary setting of the first episode, staff describe the whole host of problems students bring to school with them, from trauma to peer frustrations, anxiety and depression, and more. Vignettes of students’ daily struggles are a key storytelling element used to establish the nuance of what students face. From the three featured students, viewers see how angry and disruptive outbursts, negligent and abusive households, and diagnosed mental health issues can influence life at school, not only for the students themselves but for classmates and teachers. School social worker Eric Depue acts as the guide for audiences to understand each student’s story; his intentional and honest interactions with the students weave in vivid, heartbreaking examples that help further explain how environmental influences like abuse, neglect, and household dysfunction take a toll on students’ lives. One of the main themes in the première episode illustrates that despite the lack of comprehensive services schools are finding ways to address mental health needs and prop students up with support however they can find it. More episodes in The Mind Inside series will be released throughout 2019. The goal of the series is to create awareness around mental health and to encourage understanding, empathy, and support for students. More episodes to come throughout 2019.